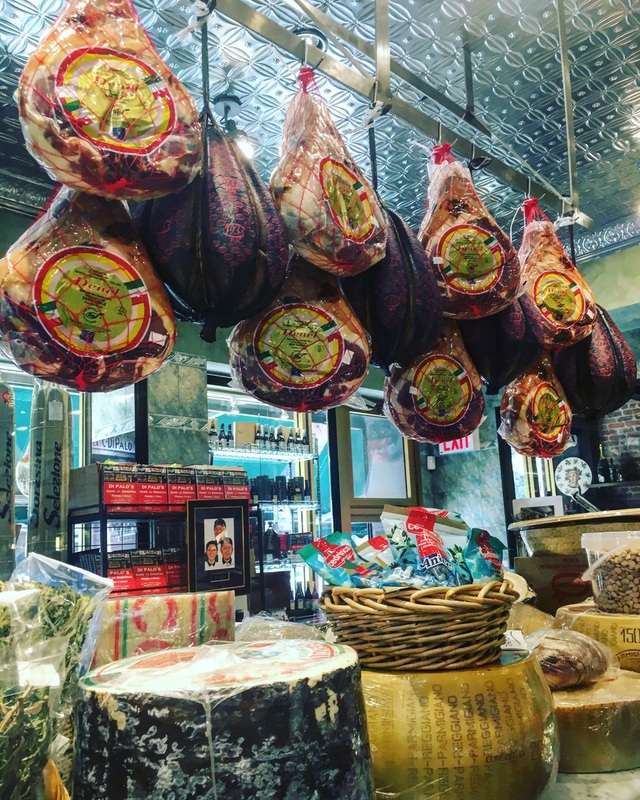 I recently enjoyed the amazing Ahoy New York Food Tours culinary walking and historical tour through Little Italy and China town. Ahoy was no less than the perfect combination of big city, formative history and flavours! While I won't give away all the secret stops, the day started with my first ever cannoli ( shocking!) in a fine café in the heart of what once was " Italian Wall Street". The above mozza sticks were in a cheese shop that quite literally, made me melt! In true Italian style, you learn about the food and history like you are a member of the family. I definitely acquired some favourite places, which I will return to to shop and eat at some more! This one above makes its' own cheese right in house! The beauty of this tour is not only the collision of cultures, being the 2 districts covered of China Town and Little Italy are so close, but the historical perspective that is shared as you walk. You feel immersed and learn so much about the influence of the Tenement history on daily life. Through to how the people and places shaped New York and American food of today. The view looking up to the Empire State building from China Town into Little Italy. Beet, or spinach, or carrot or garlic pasta anyone? The rainbow of colours and tastes. 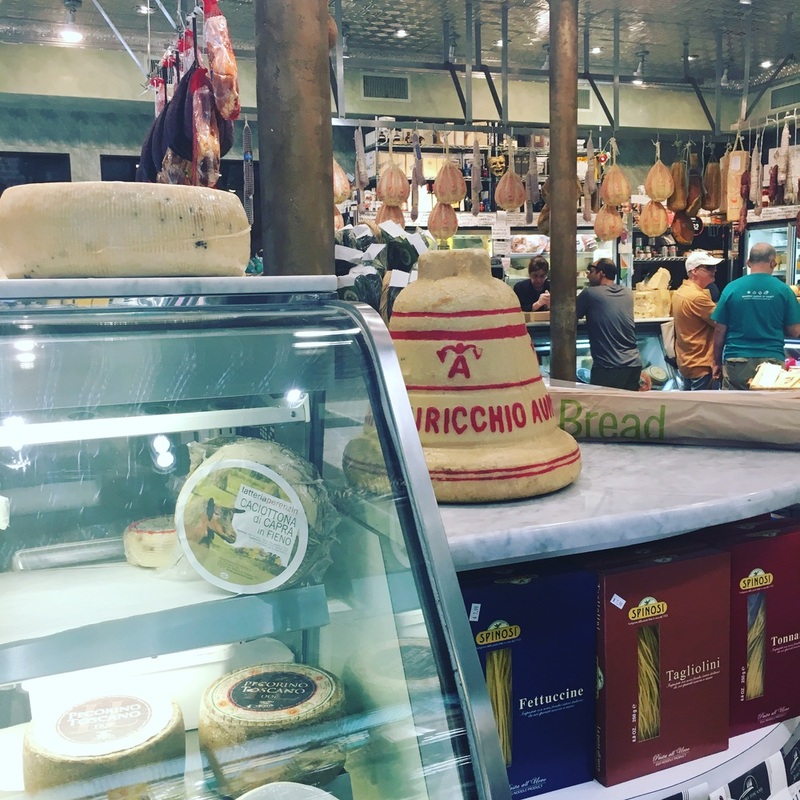 Fresh daily at Peimonte Ravioli Co. This little shop has the cutest display of gnocchi and flavours I've ever encountered outside Italy. Seeped in tradition. You are taken through the rich history as most of the stops are still family run and owned. You don't feel like a tourist, there are no lines and you have a one to one experience. One a dutch farm, the area has blended into an oasis of sounds, food and shops. The other lovely thing, is the preservation. I don't mean of the jambon, that too, but of the architectural detail. Most of the stops have original details and your host will answer any questions you have. Examples of the original details, vintage signage, classy ambiance and food! I left with a much better appreciation of what many movies have made famous as to the gangs of New York, the god fathers and the mob, the plight of the people and way they shaped the city. World Trade Centre in the distance, a peekaboo view after dim sum in China Town. Alana the proprietor and host is super knowledgable, approachable and fun! I would not hesitate to take anyone on this walk. Thank you Ahoy! Everyone else- Dig IN!! !